Contact the Environment Minister in your country to get involved! CLIMATE CHANGE IS REAL. WHAT GOVERNMENTS DO MATTERS. By 2020 all countries need to increase their emission reduction pledges to the Paris Agreement. The Paris Agreement’s central aim is to strengthen the global response to the threat of climate change by keeping a global temperature rise this century well below 2 degrees Celsius above pre-industrial levels and to pursue efforts to limit the temperature increase even further to 1.5 degrees Celsius. This will not be met unless all countries strengthen their commitments. Further information on key aspects of the Agreement can be found here. Please take action by sending this letter to your Ministers of Environment and Ministers of Energy in Leading Greenhouse Gas Emitting Countries. This is a request to you and your Ministry to provide Climate Scorecard with information on your plans for updating your country’s emission reduction pledge to the Paris Agreement. 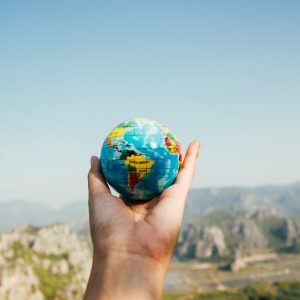 Climate Scorecard is a global campaign that supports the goal of the Paris Agreement to have all countries strengthen their 2015 pledges to the Paris Agreement by 2020. As you may know, the pledges made in 2015 are too low to prevent the planet from warming beyond the 1.5 degree Celsius global warming tipping point that will result in widespread environmental and economic damage and loss of life. Therefore, all countries need to strengthen their pledges. Climate Scorecard established a NEW PARIS AGREEMENT PLEDGE LIST on their website where they will maintain a public record of those countries submitting an updated pledge. Please send them information regarding your country’s new pledge as soon as possible so you can be listed. Send this information to kristin@climatescorecard.org. Also, please read their Global Spotlight Report from Climate Scorecard. Each month they compile reports from your country and others that indicate whether countries are moving ahead or falling behind in their efforts to reduce greenhouse gas emissions. I welcome your feedback on these reports. I look forward to hearing back from you with information on your country’s updated pledge to the Paris Agreement. Support your country! We will use your donation to support the work of our Country Manager and the Partner Organization in your country of choice.